A review of Textit as a bulk SMS provider was done to evaluate the suitability of its features, reliability and support services. Although offering a good range of services, its charges were significant more expensive than its competitors. 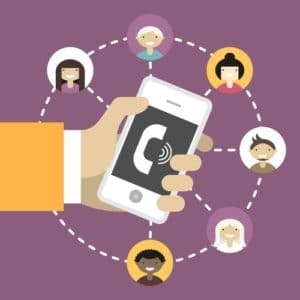 Bulk SMS distribution is becoming a big business for SMEs and large organisations as they are finding it to be a great way of communicating to British businesses and people in a prompt and effective manner. This is particularly so with marketing and communication campaigns to customers or providing details that may be critical or time sensitive. 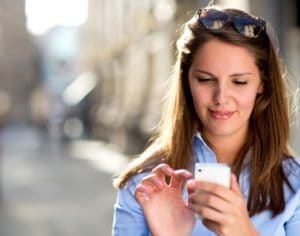 From an independent review of numerous bulk sms providers (see below), Textit is regarded as one of the leading mass texting messaging services available in UK. This was based on its premium text messaging platform for businesses, high performance SMS applications, and its direct connections with best practice security. It has the ability to offer a range of services to marketers, clubs, government, retailers, charities, enterprises and education institutions. Textit is one of these bulk sms providers who provide a mass text message service whereby you can initiate the message that needs to be sent and the time frame so that users are kept engaged. Similarly, you can even send reminders at any time during your campaign to update people with the product or service you wish them to know about. Textit also highlights unexpected messages, helping to identify users’ questions or problems, making it an effective way to address people concerns. They can send and receive SMS messages and organize those using labels, just like email. They can offer either a ‘tier 1’ or a ‘direct to carrier’ gateway to major British networks so as to maximize delivery and also minimize lag times. 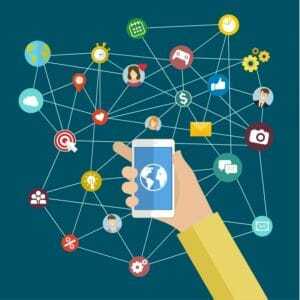 One of the high credentials of TextIt is its exclusive ‘Flow’ engine allow the client to establish or modify a SMS application without requiring a programmer or expensive IT company to be engaged. By using a basic Android phone, you can easily launch your application instantly without any expenses or external technical support. Textit has the high speed connections which gives them the capacity to take high volume text messaging clients that need to be sent within short time-frames. Delivery reports can be prepared to show bounces of messages sent through online platform. Textit has the capacity to operate bulk sms throughout the world instantaneously whether it is sent to US, Canada or UK. By downloading an Android application, text messages will be delivered and received automatically in large quantities through the phone’s local SIM card. It can connect a Twilio account and gain instant low cost text messaging. Finding the value of a bulk SMS solution must take into account the price factor. This is where Textit falls down when one compares charges of text messaging distribution compared to other bulk providers. The review of Textit on pricing showed them to be the most expensive among its competitors by between 100% to 170% dependent on the volume of sms distribution that occur over a month period. This was most notable for small volumes of less than 10, 000 sms per month with a price difference of just over 170% compared to the cheapest quotes obtained. Similarly, the largest volumes of over 250, 000 sms charges were over 110% more expensive for each text message per month than the cheapest bulk provider researched. Added this this fee issue, there is no one year or unlimited credit expiry, and there are no conditions of monthly credit expiry but a monthly charge of $50 is noted. Textit reliability is not overtly displayed in its website. It does not provide a guarantee of uptime SLA details like its competitors in the same bulk distribution business. It does not offer direct SMS API, ability to forward emails, mail merge via Excel and no Microsoft Outlook SMS. However, their exclusive Flow engine that can be easily established or modified for any complex SMS application is significant as there is no need to engage a programmer or any expensive IT company to do the job for you. This may be an advantage to some British companies who do not want to pay for external program providers. The issue of no SPAM compliance was noted and no site map provided to search for details of SLAs or agreements or other related matters. Review of Textit support and assistance service can be noted by their 1 300 TEXTIT call number, although it does not state whether it is a business hours only number or a 24/7 service. Its website does offer a newsletter and the opportunity to email you a product brochure. Additionally, there is the offer to send a SMS now so as to trial their sms distribution quality and timeliness of their distribution. There was only one review from a company that could be viewed with no blogging or comment space provided. To make your life easier and allow you to make the right decision, on which sms bulk provider would suit your needs, this site was provided for you to review. It was developed by a group of sms experts who no longer work in this field but felt that there was a real need to provide a simple to understand site that covers features, reliability, pricing and support services. The authors present their review free of charge to you, however if you click to one of these bulk providers and engage their services, then we will request a commission from that particular provider. In the event that changes are made by any of the bulk sms providers and you note that such changes have not be made, the authors would be most appreciative if you would let them know so that such alterations can be made immediately.